Our Rainbow Rugs are made to order, please allow two weeks for delivery. Our brand new range of Rainbow Rugs are made from the softest felt balls which have been hand stitched by our incredible team of female artisans in Nepal. 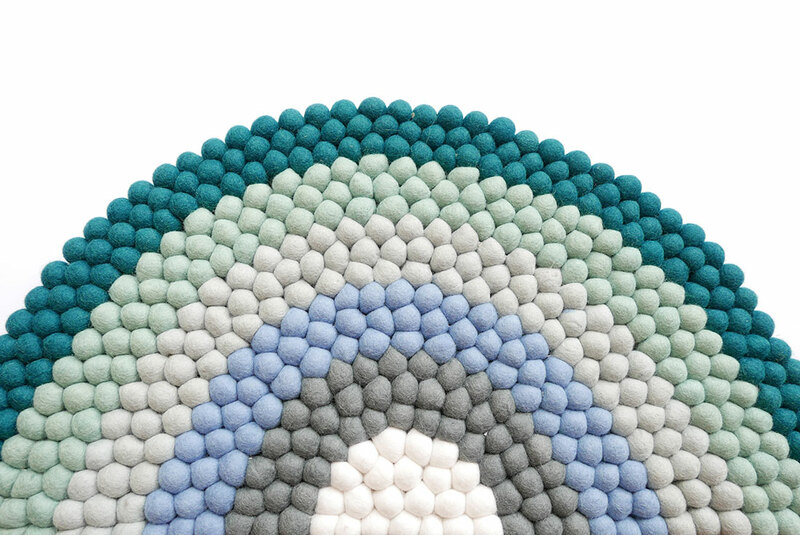 Our Jungle Rainbow Rug consists of green and blue tones with bands of emerald green, mint, duck egg blue, sky blue, steel grey and a crisp white. Our large Rainbows are the perfect size for placing beside single beds, cots and to be used as area rugs. Our mini Rainbows are ideal for using in doorways, as wall hangings, in front of doll houses, entryways into cubbies and much more! At Slumber Co. we believe in creating sanctuaries that inspire and celebrate a magical childhood. 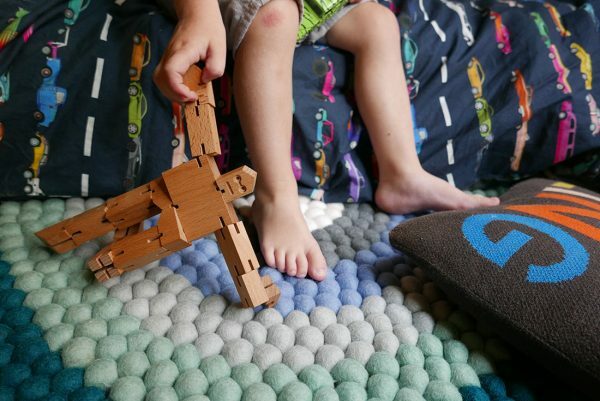 Add the perfect touch of warmth and whimsy to your nursery, bedroom or playroom with our iconic Rainbow Rug. We won’t blame the big-kids-at-heart for wanting one in their bedroom, too. Looking for another colour? Get in touch and we can work with you to create a rainbow that will suit you décor. 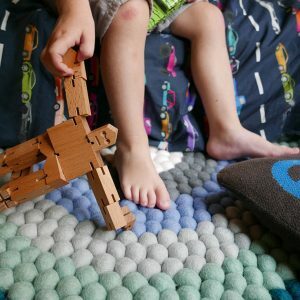 Our rainbow rugs come in two sizes large and mini. Mini measures 75 x 38cm. Made from 100% wool, imported from New Zealand. All dyes are Azo-free (they do not contain carcinogens) and are eco-friendly. 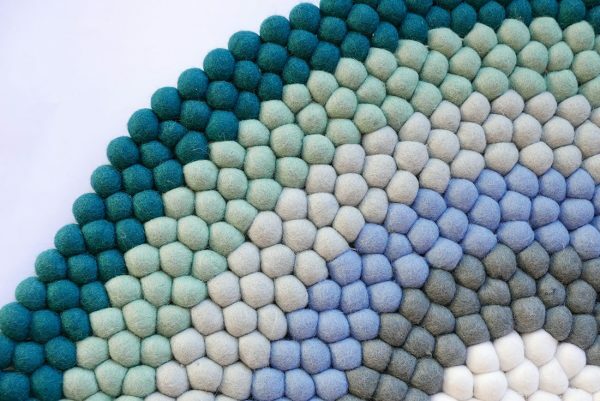 Slight colour variations of felt balls through handcrafted production methods are considered unique characteristics and charms of each piece, not as faults. Please keep this in mind when placing your order. Proudly fair trade certified by GoodWeave. GoodWeave works tirelessly to end child labour in the carpet industry. Backed by Slumber Co.’s trademark quality and durability. Each rug is handstitched (not glued) by our team so you can enjoy your rug for years to come.